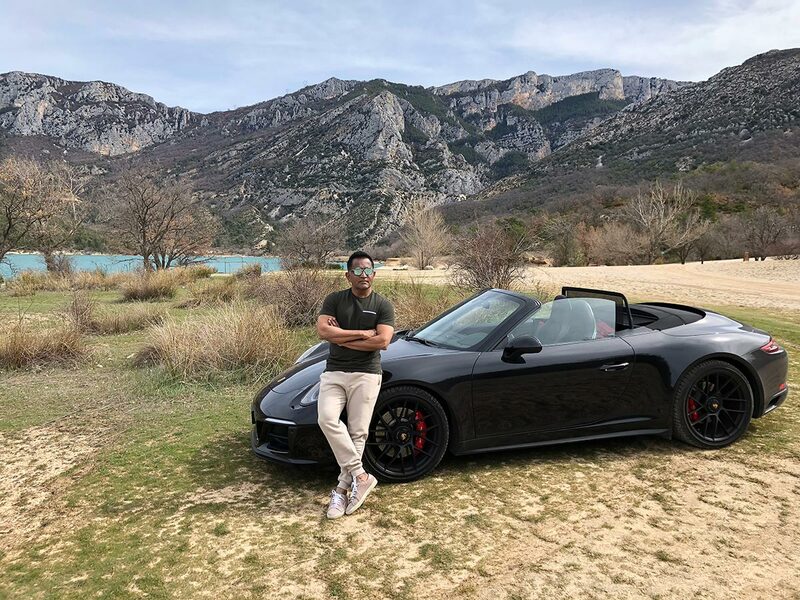 Sudhir and his wife Radhika dreamed of coming to Europe from India for a Porsche tour on some of the greatest driving roads, with the best hotels and gastronomic eating. They asked for our advice given the early season – March – and we put together an exciting 7-day driving adventure for them – an extended version of our Côte d’Azur & Monaco driving tour. 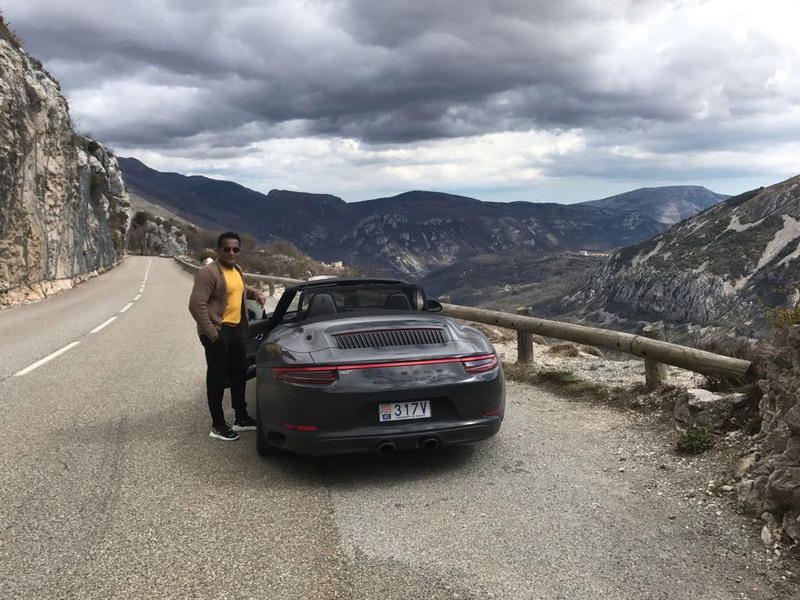 Their journey started in glamorous Monte Carlo, and took in scenic drives through the Alpes-Maritimes and Provence, as well as a brief excursion over the border to Italy to visit the fabulous Portofino in Liguria. The itinerary included both relaxing vineyard hotels with wine tasting and some of the most exclusive lodgings in the world – Hôtel Hermitage Monte Carlo in Monaco, Château de la Chevre d’Or in Èze and Belmond Hotel Splendido in Portofino to mention a few – with memorable meals in world-famous Michelin starred restaurants such as the 3 Star Le Louis XV by Alain Ducasse. 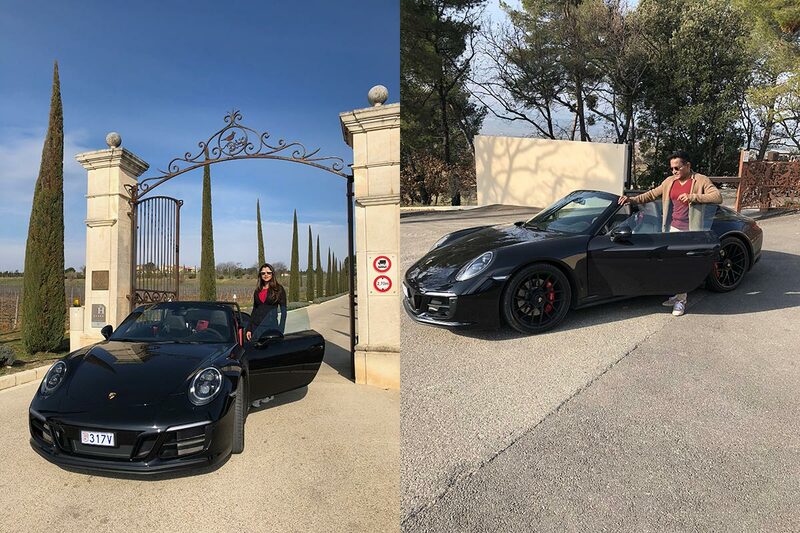 For this early spring Porsche tour the model they chose from our fleet was a beautiful black Porsche 911 Carrera 4 GTS Cabriolet – an ideal machine for an exciting adventure with open skies, mountain drives and the feel of luxury all around. “…We had a wonderful experience touring the South of France with Colcorsa. Right from planning the locations, asking us about what we wanted to do, cars we wished to drive – Sara took care of everything. The amazing thing about the entire trip was that it was all well planned and laid out to the last detail. At the same time it wasn’t in your face or obtrusive service. It gave you the independence of the time you started, what you did, and everything felt like you were exploring the region by yourself in a luxury sports car. It was a great adventure. Colcorsa was the guardian angel / concierge that hovered in the background and took care of anything with just one phone call from us. My wife describe it as very different holiday and hasn’t stopped talking about it to her friends. Sara has been a wonderful host and guide, allowing us to see the best that the South of France has to offer. We are planning a few more trips for sure.